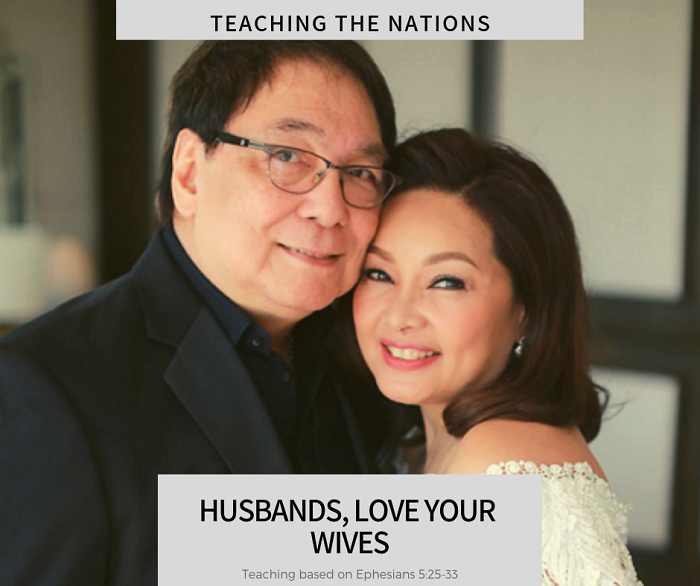 Click on the image above or the video below to listen to the message by Coach Arthur Peter in continuation on the passage in Ephesians about husbands and wives. Second, notice that God instructed the husband to love his wife, not the wife. You see if we guys are honest .. often loving our wives is not a natural thing. Women don’t seem to have problems loving. It seems to be a natural thing, but when it comes to guys. It is different. It looks like the area husband has to work on is loving our wives. Very quickly once we are married we start focusing on other things and kind of forgetting our wives. Taking them for granted. It is not that we don’t love them. We do love them, but we forget to show them. So that is why this instruction. God is saying guys be sure to remember .. show your love and appreciation to your wife. Every day! Third, now when you are honest guys and God tells you to love your wife. You are like, but how? What does it mean to love her? Although it is different for every woman generally this is how a woman feels loved. 5. Do something special for her now and again .. like bring some flowers, chocolate or take her out for a date. Just you and her… no kids or buddies. Summary make her feel special. Fourth, notice that God is telling husbands to love their wife as Christ loved the church. So in other words .. husband has to be willing to give his life for her, that is how much we have to love her. Go all the way out for her. This is the time when your wife needs you most. Give her a hug and tell her you love her. Give her a kiss and smile to her. Help her through her struggles by loving her. You see as you keep loving her, what does the bible say. It will cleanse her and make her without spot and wrinkle. You see the more you love her the more loving she becomes. By loving her you are helping her to become without spot or wrinkle. Fifth, so when you love your wife it helps your wife and heals her from past wounds. Beside that you get a more loving wife, the more you love her. It was when the husband was afraid to stand up to her and say Eve this is wrong. The problem was not what Eve did. The problem was what Adam didn’t do .. he didn’t take responsibility as the head of the household. So for example when your wife is being verbal (cush all kind of things or put you down) or physically abusive (slaps you or beats you) .. just because you love her doesn’t mean you have to accept that kind of behavior. You are created in God’s image and nobody has to accept that kind of behavior. The same applies to wives. If this happens correct your wife’s behavior and tell her you do not tolerate that kind of attitude. If she continues to ignore your corrections and doesn’t accept your leadership and keeps polluting your mind with garbage and not willing to accept your leadership (talking about years) .. get a divorce. She is not worthy of your love. That marriage is not going to work. If the wife doesn’t accept the leadership of the husband it is not going to work. 5. Loving your wife doesn’t mean accepting the wrong behavior. For comments, questions or suggestions please contact me. Love to hear from you.